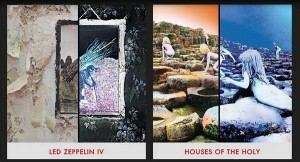 The details of the next two releases in the Led Zeppelin reissue series have now been announced. Note -ordering links may not be live yet. 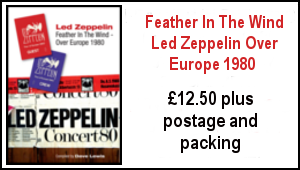 LOS ANGELES, CA–(Marketwired – Jul 29, 2014) – The Led Zeppelin reissue campaign got off to a remarkable start in June as deluxe editions of Led Zeppelin, Led Zeppelin II, and Led Zeppelin III debuted in the top 10 of the Billboard Top 200 Albums chart. The albums achieved similar international success with debuts near the top of the charts in more than a dozen territories, including Canada, France, Germany, Japan, and the United Kingdom. 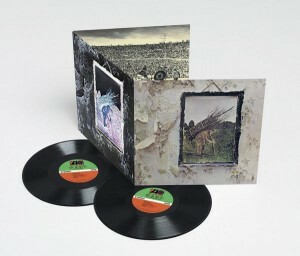 The second round of reissues begins with one of the most artistically influential and commercially successful albums in the history of music, Led Zeppelin IV. Released in November 1971, the album — which is officially untitled — defined the sound of rock music for a generation with ubiquitous anthems such as “Stairway To Heaven,” “Rock And Roll,” “Black Dog,” and “When The Levee Breaks.” The album was inducted into the Grammy Hall of Fame in 1999, has been certified 23x platinum by the RIAA. 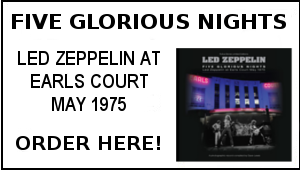 Led Zeppelin topped the charts again in 1973 with Houses Of The Holy, which features legendary tracks such as “The Song Remains The Same” and “No Quarter” while also showcasing the continuing evolution of the band’s signature sound with the reggae-tinged “D’yer Mak’er” and the funk jam “The Crunge.” The album has been certified diamond by the RIAA for sales of over 11 million copies. Led Zeppelin continues to be honored for its pivotal role in music history. The band was inducted into the Rock & Roll Hall of Fame in 1995, received a Grammy Lifetime Achievement Award in 2005, and a year later was awarded with the Polar Music Prize in Stockholm. Founding members Jones, Page and Plant — along with Jason Bonham, the son of John Bonham — took the stage at London’s O2 Arena in 2007 to headline a tribute concert for Ahmet Ertegun, a dear friend and Atlantic Records’ founder. The band was honored for its lifetime contribution to American culture at the Kennedy Center Honors in 2012. In January of 2014, the band won their first ever Grammy award as Celebration Day, which captured their live performance at the Ertegun tribute concert, was named Best Rock Album. Have to agree with Zappo. 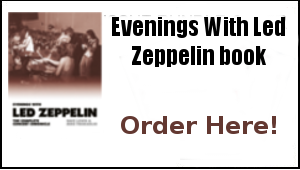 I’m an enormous fan of Zep and all the solo stuff, but with the exception of a handful tracks (La La, Jennings…, Keys… the alt. 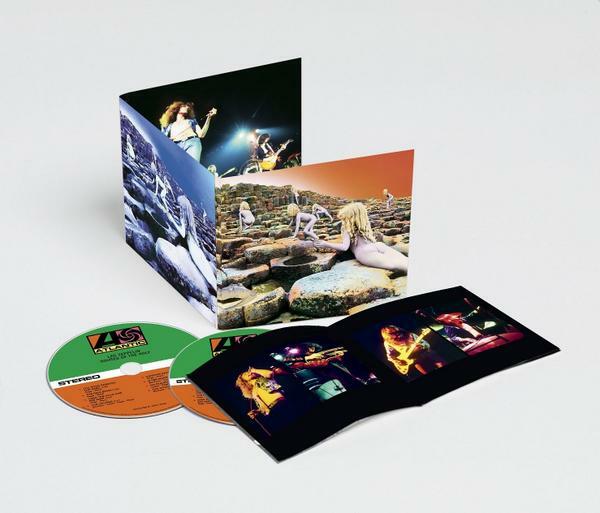 SIBLY and the bonus concert with Zep I), I’ve been deeply disappointed with the content of the bonus material so far. I know they can’t release stuff that doesn’t exist in the first place, but putting out all these karaoke backing tracks and alternative mixes is, I find, just underwhelming. I was all geared up to buy the super deluxes when they came out, but each time the content has been announced I’ve just felt that the price is way too much for so little. I see Amazon have generously knocked a fiver off each box, now £116.99. I will go to Spin cds unless Amazon match their price. Spin also have a shop in Newcastle I used to frequent when working there. The extras for the next releases look very uninspiring. Different mixes? Big deal! You can make your own different mix by adjusting your tone controls. Also, it’s a pity these extras don’t fill up the CD — it’s possible to have up to 80 minutes of music on a regular CD. I’m sure we could have been treated to more versions, which would, of course, have been better value for money, especially given the big increase in price of albums 4 and 5. I agree with Phil’s tip, just pre-ordered Super Delux 4 & HOTH editions using Spin CD’s…FREE P&P for UK buyers. 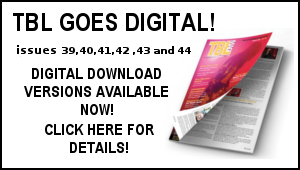 Dave & Gary, thanks for your tireless work regarding TBL. I wonder if the ‘blue’ rendering of the HOTH cover is the same as the original version sparking comments from the band that the kids looked blue from cold? UK fans please note: the prices on Amazon.co.uk are very high at present. If you intend to buy the Super Deluxe versions of both 4 and Houses, you’ll save a whopping £84 if you go to Spin CDs instead. Its my birthday on 28th October…….. What a present!